It is mid-term break now. 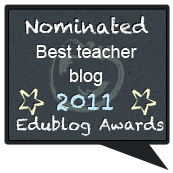 At the moment I’m enjoying myself reading blogathon posts and doing some preperation for the first week of the school. February will be a hectic month and I have to pre-plan everything. Write gossips (possibly from a magazine about a popular person) on post-it notes. Tell students to walk around, listen to their friends, take notes about the gossips they heard and then report it to the class. Allow them to play snowball for some time. All of them should have a snowball in the end; they open the ball and report the things written on it. Give them situation and tell them that they will exchange messages until you stop them. Stop them and ask them to report the conversation. Tell a statement, ask a question to the first students and tell him he will whisper the message to his friend and the friend will do the same until the last students receives the message but the last students will report the statement or the question. If he does it correctly, he will become the first student. If he can’t he will continue as being the last receiver for one more term. Bring cartoons to the classroom and ask ss to report the dialogues. Watch any video about an interesting topic. Tell sts to take notes and then report some of the talk. Student 1 will report it to the class and say something about himself/herself. Recently I’ve stumbled upon this blog. Here you will find a very short mingling activity http://icebreakeractivityoftheday.tumblr.com/post/16455813518/post-it-pass-itand after the activity is done, ask students to report what their friends have wrote. Thank you Nihal for stopping by. I really like the idea of having the students exchange what they write randomly by playing “snowball” and throwing the paper balls around and reporting on what they end up with. You have some really great ideas to keep students interested in learning! My name is Eleanor Pomerat. 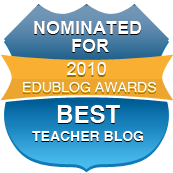 I am commenting on your blog as an assignment for my EDM310 class at the University of South Alabama. I thought this blog post was very interesting for two key reasons. 1. I had never heard of “reported speech,” until I read your blog post. 2. You had some wonderfully creative ideas for teaching reported speech. After reading this blog post, I looked up what reported speech means and my current understanding is that it is similar to indirect speech? I don’t know where you are from, but is reported speech unique to your country? I hope it isn’t a topic that I missed while in grade school in the United States! As I mentioned above, I loved your ideas for activities to aid in teaching reported speech. I think that your idea of telling the students to secretly pass notes to each other behind the teacher’s back is a great idea! 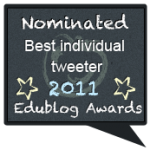 I will post a comment on your blog once more before I make a summary post, which will be posted on my blog on February 12th, 2012. Great post, thanks for that, doing reporting verbs at the moment so will come in very useful. Wow, the snowball idea is really creative and would definitely get the students more engaged than just writing down notes from the board. The gossip idea sounds fun as well. These are some great activities to motivate any language classroom! Some great ideas for reported speech Eva, it can often be such a dry topic. My name is Audrey Mitchell. I am majoring in elementary education at the University of South Alabama and I am in the edm310 class there. I was assigned your blog for this portion of our C4T assignments. This post of yours made me happy. That may sound strange but coming from someone with ADHD the fact that you are trying to make learning a bit more interesting and fun but also challenging is awesome to me. All students need to be intrigued in what they are learning but students with learning disabilities need it a bit more. I hope your students enjoyed your activities as much as I enjoyed reading about them. If you could please give me some feed back. My personal is mitchellaudreyedm310.blogspot.com . My Twitter is @AudreyMitchell3. Thank you so much for your time. Last week we played snowball and they really enjoyed it. Sometimes doing something out of the routine helps a lot. The gossip also worked well. Hello, I am a student in EDM310 at the University of South Alabama. 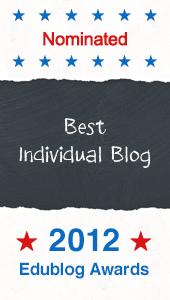 I have been assigned to comment on your blog. 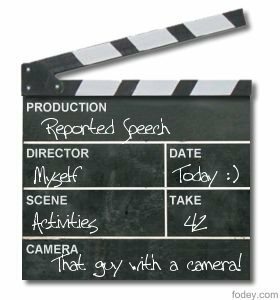 I love the ideas you have listed as possible activities to help teach Reported Speech. I particularly like the idea of having the students exchange what they written randomly by playing “snowball” and then reporting on what they end up with. I’m sure the students will love it. I love the interactive Wheel of Fortune game. I’m sure that you students will be very engaged in this activity. You have done a great job researching ideas and resources to teach Reported Speech. I hope that your students enjoy the activities. Please feel free to respond and visit my blog. 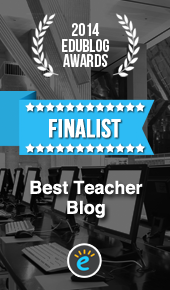 Hi, great stuff here, I teach in the UK and was referred to your site by a colleague. I have a suggestion for you, it is something which I knew about from my IT background but I now teach my students to be aware of when they use Powerpoint for their presentations. Please be aware of bad colour schemes and the contrast between colours. There is a reason humans use black text on a white background…we can read it. Yellow text on a white background is a just not readable. What use is your message if the reader cannot read it or has great difficulty reading it. Thank you so much for these fantastic ideas!I have been struggling for days to think of an interesting or fun approach to teaching reported speech and you have given me great inspiration. wow! you really showed me the right path!